Yay!!! It’s Wednesday!!!! I’m already exhausted! I haven’t been sleeping well, so I’m trying not to drink any caffeine after lunch time, but I’m SOOOO tired!!! Hopefully, I’ll get use to this new normal and sleep much better through the night! 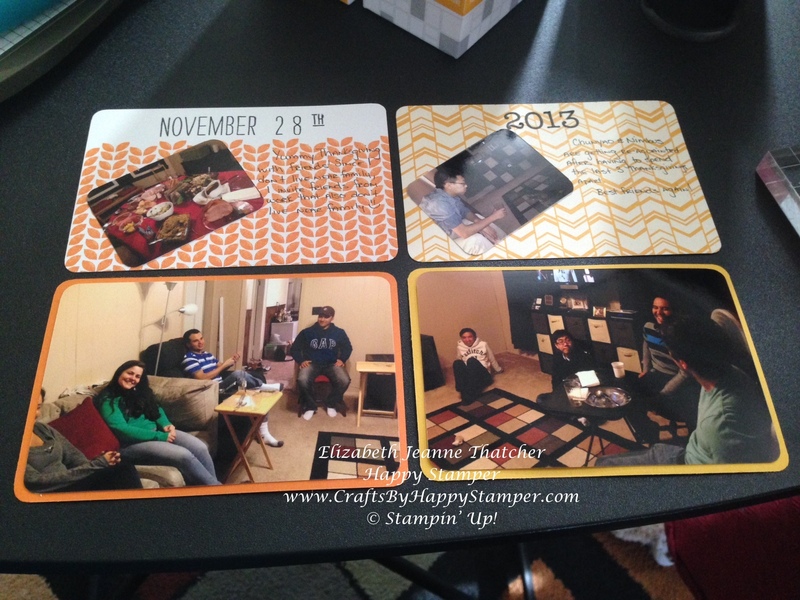 Anyways, I was finally able to get my Thanksgiving 2013 photos in an album! This is all thanks to Project Life by Stampin’ Up! I once again used a new stamp set on this album! I hope you like it! Please leave me any comments or suggestions! Wow. Pictures and book r lovely. Sounds like u don’t even have a family….